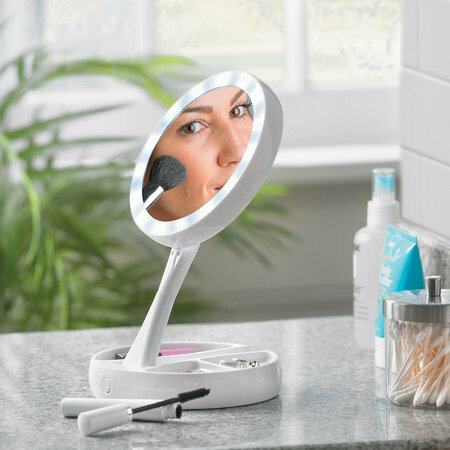 The Zoom Mirror is a mirror that can be quickly folded out and used in any room of the house. It rests on its own stand and will also swivel and rotate. 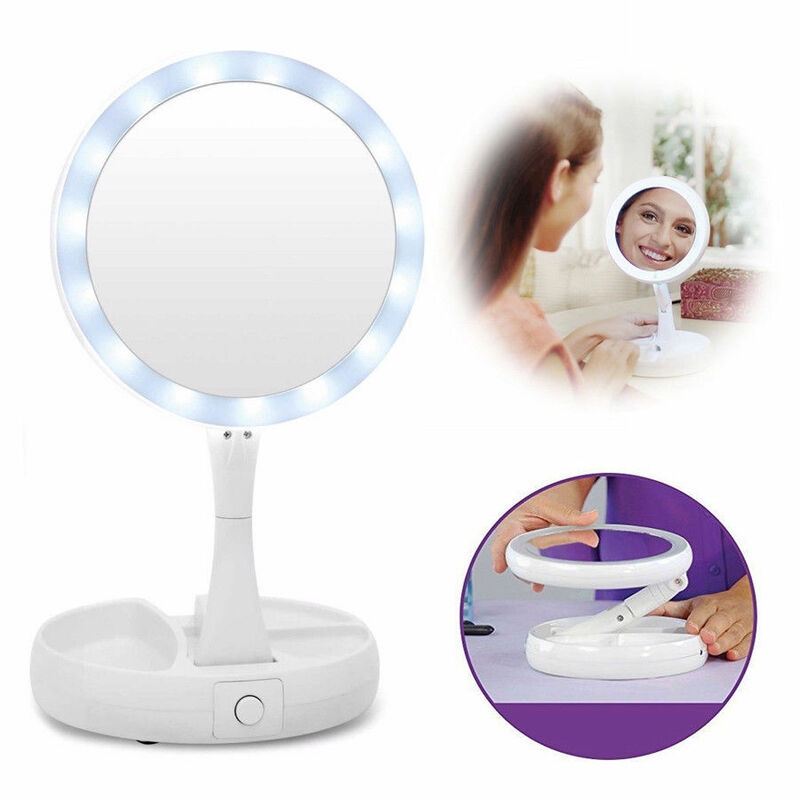 This mirror is double-sided, with one side giving you a realistic view of your face while the other side will show it at 10 times the size.